2012 was an amazing year for the discovery of planets outside our solar system (known as extrasolar planets, or “exoplanets”). As of today (December 31, 2012), there are 854 confirmed exoplanets (and the data for thousands more candidates is still being analyzed). During 2012, an Earth‐size extoplanet was found in the nearest star system to Earth, the Alpha Centauri system. And less than two weeks ago (December 19, 2012), astronomers announced the discovery of five possible exoplanets orbiting Tau Ceti.2 Tau Ceti is a star very much like our own Sun and right in our own galactic backyard, less than 12 light‐years from Earth. Most exciting, however, is that one of those five potential planets orbits within what is know as the “habitable zone,” where liquid water potentially can exist on a planet’s surface. 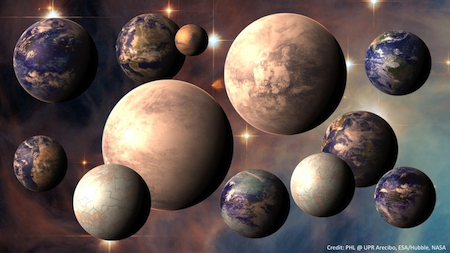 Several astronomers on NASA’s Kepler team3 are predicting that 2013 is likely to be the year that we find the first “alien Earth” — an exoplanet that matches Earth in all major characteristics (size, orbiting within a star’s habitable zone, etc.). When it comes to exoplanets, we definitely live in interesting times! In early August, the Curiosity rover made a perfect landing in Gale Crater on Mars and begin conducting heavy‐duty science. NASA scientists named the landing site “Bradbury Landing” after famed science fiction writer Ray Bradbury, who passed away on June 5, 2012. Curiosity already has made several impressive discoveries on the red planet, including finding an ancient river bed that proves water once flowed in large quantities across the surface of Mars, analyzing rocks far more complex than anything found on previous Mars missions, discovering Martian soil similar to the volcanic basaltic soils of Hawaii, and providing ongoing data about the atmosphere, weather and radiation levels on Mars. Perhaps most importantly thus far, Curiosity has provided significant data to help us understand why Mars lost most of its atmosphere at some point in the distant past. 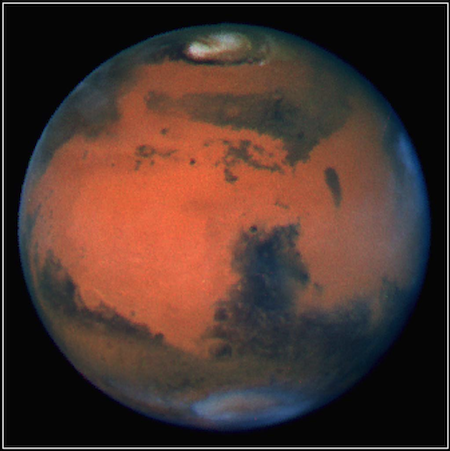 Today the atmosphere on Mars is incredibly thin, just one‐percent of what is found on Earth. Heavy carbon isotopes found by Curiosity in today’s Martian atmosphere hint that atmosphere may have been lost to interplanetary space (in part, because gravity on Mars is just one‐third of that on Earth). By understanding how most of Mars’ atmosphere was lost, scientists potentially can determine whether conditions on the younger Mars could have supported life. The Curiosity rover has barely begun its mission, and 2013 is likely to reveal many more discoveries on the surface of Mars. 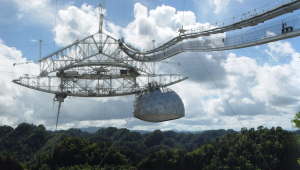 Thanks to data collected by the Wilkinson Microwave Anisotropy Probe (WMAP), astronomers have a far better understanding of our universe and how it works. WMAP has been studying the Cosmic Microwave Background (CMB)4 since 2001 and the probe’s comprehensive data and findings were released in late 2012. The universe is 13.77 billion years old. Only 4.6% of the universe is composed of normal matter (the stuff that makes up stars, planets and even you and me). Approximately 71% of the universe is Dark Energy, while about 24% is Dark Matter. The first stars began to shine when the universe was just 400 million years old. WMAP’s findings also support the idea of “inflation” which theorizes that the early universe briefly expanded at a much faster rate than today. The Hubble Space Telescope continues providing amazing images and science 22 years after it was first launched into Earth orbit. Notably during 2012, Hubble looked back at the earliest galaxies, imaging seven primitive galaxies that formed when the universe was only three percent of its current age (a mere 300–600 million years after the Big Bang). 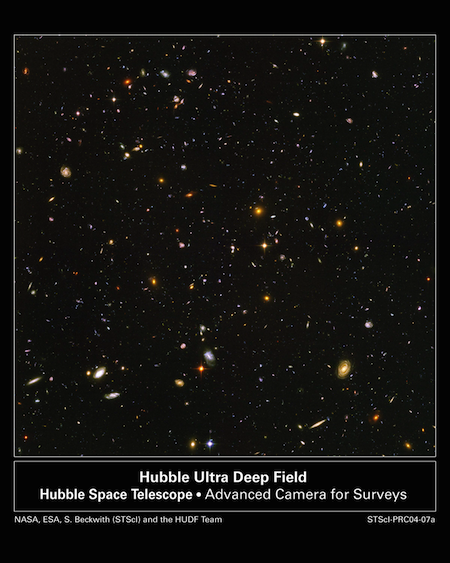 One goal of this Ultra Deep Field (UDF) view by Hubble was to provide a reliable census of the earliest galaxies. A key finding from the Hubble UDF images is that there wasn’t a single dramatic moment when galaxies first began to form, but rather it was a gradual process. Hubble is expected to continue functioning through at least 2013 (and perhaps longer),6 so hopefully we’ll receive plenty more amazing imagery during the coming year. On a personal note, I just finished my first semester of work towards a degree in astronomy.7 The semester was more fun than I could have imagined beforehand and I’m excitedly looking forward to continuing my studies in January. And as always, I hope to use these Stargazing articles to share with you some of the amazing things happening today in astronomy and space exploration. All of the discoveries and excitement described above, however, barely touches on everything that happened in astronomy and space exploration during the past year. If you enjoy learning more about the universe we live in, it is truly a great time to be alive. 2013 is guaranteed to be filled with even more discoveries and likely the most exciting news will be things we can’t even imagine. 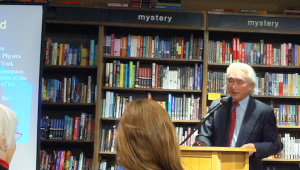 Onward into the future!